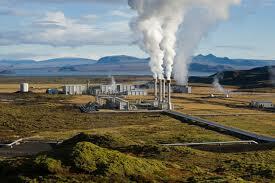 Olkaria IV will increase the total electricity output by 25 per cent. Monday morning, President Kibaki commissioned the groundbreaking ceremony at Okaria IV that is expected to generate 280 megawatt of geothermal power in Naivasha. Olkaria project, considered the largest geothermal power plant in Africa, seeks to raise geothermal contributions to 35 per cent from the current 10 per cent. The construction of the new plant, estimated to cost Ksh 82 billion is expected to be operational in 2014. Olkaria IV, a flagship project of Vision 2030 is co-financed by KenGen and various development partners including World Bank, German Development Corporation, Japan International Cooperation Agency (JICA), the French Development Agency (FDA), and the European Investment Bank (EIB). Companies that will carry out the construction of the plant include; Toyota Tsusho Corporation of Japan, KEC (Kamani Engineering Corporation) of India, New Zealand’s Sinclair Knight Mertz, and Hyundai Engineering Company Limited of South Korea.